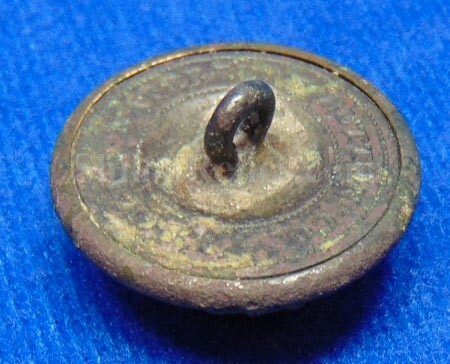 This is a beautiful excavated Civil War coat button for the Staff officers. 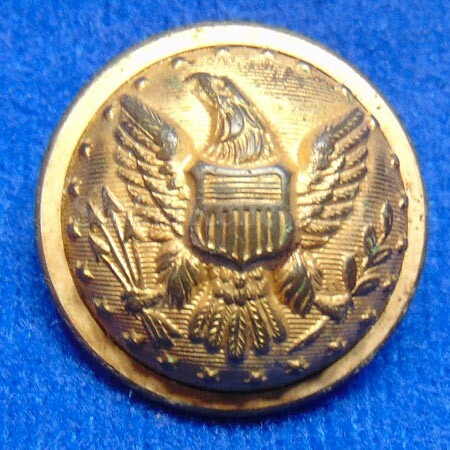 This is the classic pattern of button worn by officers on both sides of the Civil War. The face of the button has the beautiful spread wing eagle button. Around the edge of the button it has the stars with the lined field background. It has a wonderful amount of the original factory gold gilding in just the right places. It has the original back and shank nicely intact on the reverse and a clear Civil War maker’s mark of "WATERBURY BUTTON CO. * EXTRA*”. The back is loose but complete. 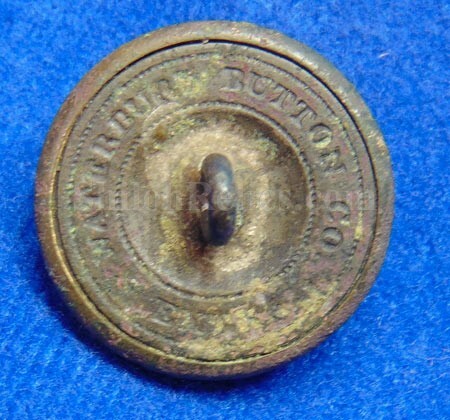 Often people only consider these buttons as used by the Union but if you ever go through the Museum of the Confederacy in Richmond Virginia you will see that many of the Confederate coats had these buttons on them because that’s what they had in their possession when the war broke out. This is a very nice looking button with fine detail. It will make a fine addition to your collection.